All major U.S. animal protein sources experienced growth in exports in the first half of 2018 compared to the same period in 2017. The Department of Agriculture’s Economic Research Service said this week that trade data for the first half of the year indicate year-over-year growth for U.S. exports of all major meats as well as dairy and eggs. Dairy exports led the way, increasing by nearly 20 percent, likely due to competitive prices. 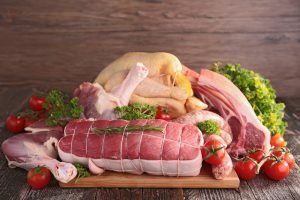 Lamb and mutton exports increased by 16 percent, albeit from a much smaller base than other meats. Strong global demand, particularly from Asian markets, pushed beef and veal exports up 15 percent. First-half 2018 pork exports, more than six percent above a year ago, were driven higher mainly by larger shipments to Mexico, South Korea, Central and South America, and the Caribbean. On the poultry side, turkey meat exports grew at levels on par with pork, while broiler meat and egg exports grew by only two and one percent, respectively.